If we use a hammer correctly, it is not dangerous. But if we use it to hit our hand, suddenly it becomes very dangerous. The same holds true for nitrogen-gas springs. If used correctly, they are safe and effective. Gas springs can withstand all the working stresses for which they were designed. But they cannot sustain overstresses generated by incorrect usage. Gas springs essentially are pressure vessels, with all of the inherent dangers of pressure vessels. Fortunately, advancements have yielded gas springs that can help prevent dangerous overpressurization and/or take steps to reduce pressure. That said, users must keep in mind practices that result in safe, effective gas-spring operation. When employing nitrogen-gas springs, do not use more than 90 percent of the cylinder stroke length. This helps eliminate an overstroke condition that can damage a cylinder and cause the release of some components. Under pressure, these components can release at dangerously high speeds. Like any pressure vessel, care must be taken to make sure that the compressed ingredients do not unleash in unintended ways that can produce sometimes catastrophic results. For example, a compromised gas spring can turn a cylinder rod into a projectile, reaching speeds north of 200 mph. Shot straight up, a cylinder could rocket straight over the Empire State Building. Imagine what would happen to anything, and anyone, in its path. To help MetalForming review proper safety practices for the die designers, builders and operators often working with nitrogen-gas springs, we reached out to Jim Glynn, president of Special Springs, LLC North America, with U.S. headquarters in Canton, MI. The company’s website offers a number of safety and design tips. We asked Glynn to identify common safety and design factors that should stay top of mind when specifying, installing and using nitrogen-gas springs, and here they are. All nitrogen-gas springs have a recommended maximum stroke length. It’s recommended that this maximum length not be approached. 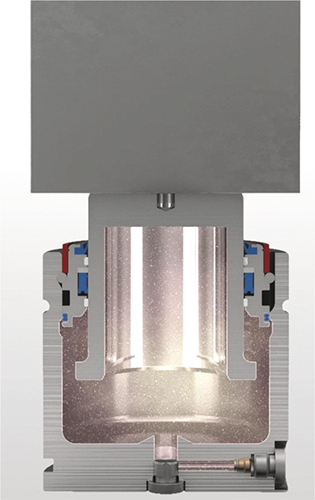 Conscientious design not only provides the tool, part and press protection inherent in nitrogen-die springs but also maximizes their use, leading to more room in a tool to fit needed processes. Some nitrogen-gas springs feature the ability to vent during overpressurized-cylinder conditions. In other words, compressing a nitrogen-gas-spring piston rod to nearly its maximum length can double the force. Whether using mounts supplied with nitrogen-gas springs, tapped holes at the bottoms of cylinders or some other robust method, it’s best to affix springs to a tool. 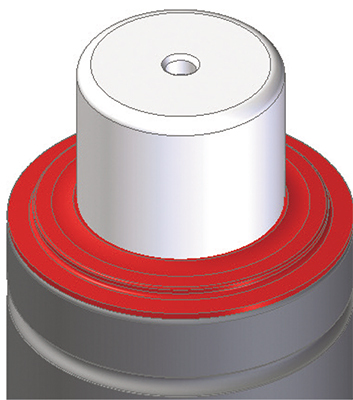 “It’s a good practice that keeps the cylinders secure in the upper die shoe, or prevents a cylinder from vibrating in a pocket of a die,” Glynn says. This helps ensure top pressure-providing performance from a nitrogen-gas spring. Such repeated actions can cause a cylinder to fail and a rod to eject. A secondary wiper, as shown here, can be installed on a cylinder to help ward off fluids. “Again, at speeds surpassing 200 mph, the projectile can do serious damage,” he stresses. Dies often operate in a fluid-filled environment, with liquids applied to tooling and parts and other oils and fluids used in machine components. Deep-draw operations, for example, may require flooding the die with lubricant. 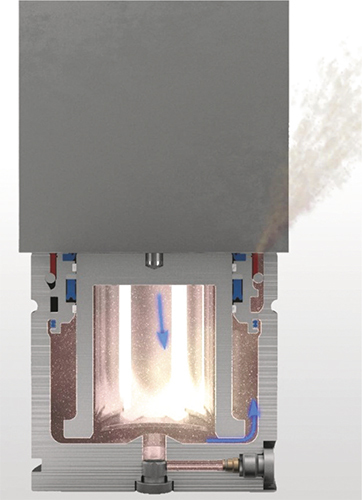 Despite efforts to seal nitrogen-gas cylinders, over time fluid may seep into a cylinder. “Fluids in the cylinder can wreak havoc on the wiper and the seal, and caustic lubricants can cause premature spring failure,” explains Glynn. In addition, fluids seeping into a cylinder reduce cylinder volume, thus overpressurizing the cylinder. To help combat fluid in cylinders, Glynn suggests taking steps such as installing drain holes in spring pockets.